The world is changing at an unprecedented rate and this has a far-reaching impact on the welfare of the younger generation. The IOC is responding to this change through the future strategic plan of the Olympic Movement. Sports help develop a social network. As well, sports are a key to self-confidence and teach youth to respect others as well as themselves both on and off the field. Sports have been proven to be a powerful learning tool – providing a universal language for transmitting key messages on topics such as: a healthy lifestyle, social inclusion, gender balance and the rebuilding of local communities. Sports have the power to make a positive impact in communities around the world. As sports ambassadors, we can’t be content with just a growing number of young people watching the Olympics. Thomas Bach, president of the International Olympic Committee. The Olympic Values ​​Education Program uses the connection of sport and the core principles of Olympism and encourages participants to experience value-based learning to take responsibility for good citizenship. The program connects the benefits of sports and physical activity through the understanding of Olympism and its impact on individual health, enjoyment from making the effort and social networking. The combination of sports, education and culture is the basis for the Olympic values ​​study program of the Israeli Olympic Committee. The program is based on the Olympic philosophy, which emphasizes that learning takes place through the development of the balance between the body and the brain. Physical activity and sports have a positive effect on health and good feelings. Through sports you can achieve results such as peace, holistic learning and social development. Sports are an educational and communicative tool which inspires excellence, respect and friendship. The ultimate goal of the program is to build a better world through sports by using pedagogical sports in the values-based curriculum. The program uses Olympic culture and positive sports values ​​as a basis for learning life skills, values ​​and a lifestyle that combines sport to achieve a healthy lifestyle. How can we bring these benefits to our lives and others? The educational program for Olympic values takes advantage of the universality and power of the Olympic Games as a tool for social development to learn life skills, respect human values ​​and promote life with enjoyment from sports. The program encourages participants to imagine, create and express themselves in different ways through acting, storytelling, art and media. To facilitate the learning of Olympic values, the International Olympic Committee expanded the three Olympic core values ​​into Five Olympic Educational Topics. 5 Olympic Educational Topics: enjoyment of effort, fair play, respect, striving for excellence, balance between body, will and soul. The Olympic Values ​​Educators Program helps young people find common ground and commitment to activities that embrace the Olympic core values ​​of excellence, respect and friendship. The program is not intended for the small percentage that comes to the podium, rather it is for 99% of the population, to encourage them to participate in physical activity. Your role as teachers is to teach the younger generation through sports and Olympic values. The IOC focuses on promoting universal participation in sports and physical activity, as well as developing appropriate educational tools to attract and empower young people. 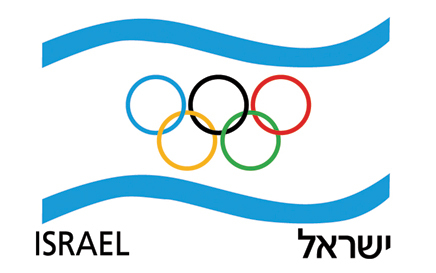 As the project manager, and on behalf of the Olympic Committee in Israel, we hope that the program and the tools given to you today will help you strengthen your uncompromising commitment to the Olympic Movement of education through sports. Together we will all bring sports to life !! !